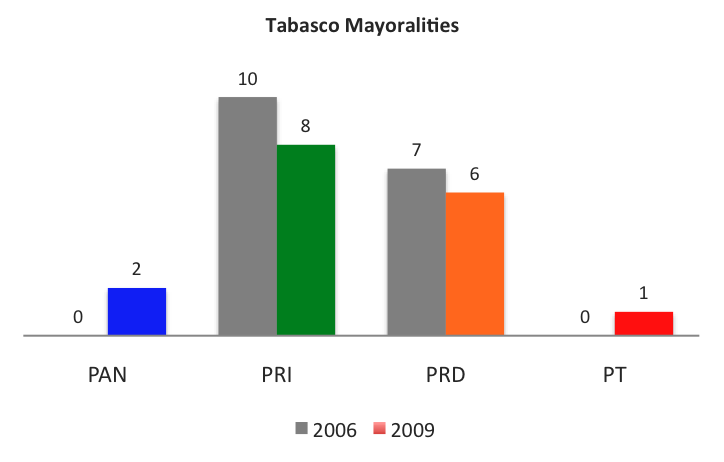 The PRI extended its string of election wins with victories in Coahuila and Tabasco. 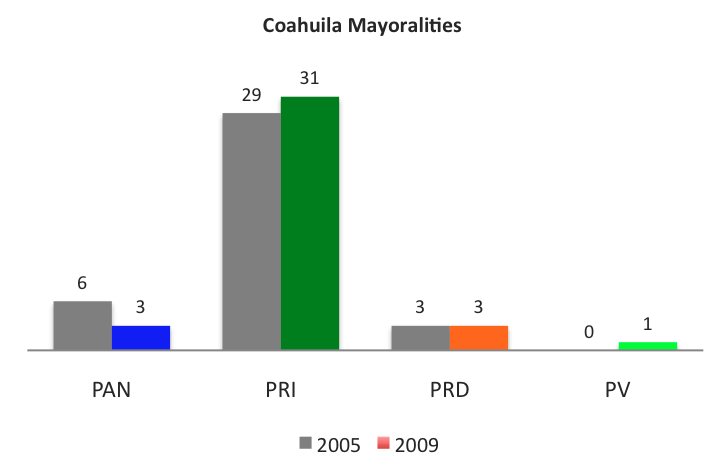 In Coahuila, the PRI won an estimated 31 of the 38 mayoralities, including the former PAN strongholds of Torreón and Ramos Arzipe. 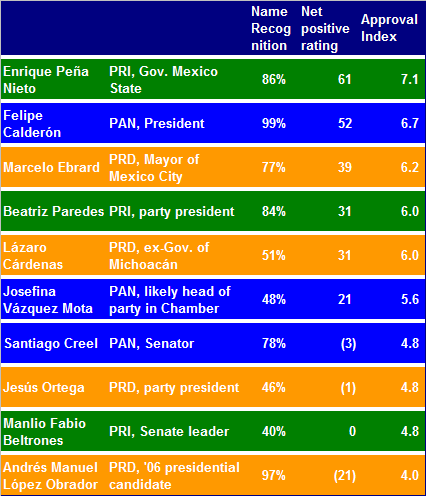 The PRI share of the vote was 60%, the PAN 25% and the PRD 2% (PREP Coahuila, Reforma 10/19). Surreal México is where Clara Brugada wins the PRD primary election to be the candidate for Iztapalapa borough president. Her opponent, Silvia Oliva, files a complaint with the party bodies, arguing that there was fraud. The party authorities procrastinate. Finally, Oliva goes to the Federal Electoral Tribunal. This body nullifies the vote in several voting places where there was fraud. Oliva wins. She is the new candidate. But the ballots have already been printed. Under the logo of the PRD, Brugada appears. The Tropical Messiah [AMLO] makes his entrance. He is annoyed because his political ally has been thrown out. He organizes a meeting with his supporters. He calls on them not to vote for the Brugada who appears on the ballot, because that is in fact a vote for Oliva. He invites them to vote for a fellow named Juanito, puppet number one, who is the candidate of another party, the PT. AMLO announces that if he wins, Juanito will immediately resign from his post, and that as the cacique of the Left, he will call on another of his puppets, Marcelo Ebrard, the Mayor of Mexico City, to nominate Brugada to replace Juanito as Iztapalapa president. 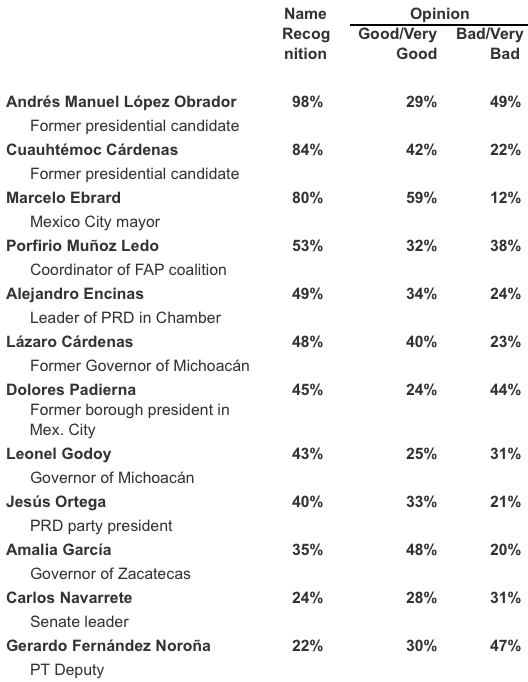 This would be ratified by the DF Legislative Assembly, AMLO’s third puppet. Juanito swears to do what the boss ordered. Conclusion: if Brugada wins, it’s Oliva who wins. If Juanito wins, Juanito loses and Brugada wins. Pure surrealism.